The little known Gamine was first produced in late 1967 and production finished in 1969. Although, as with everything Gamine, some say 1970 and some 1971. Vague is the one thing all Gamine owners have in common. Some say they sold well, others say that sales were very poor. Some say 200 were produced in total and others say 800. The only thing that is known is that no one knows how many Gamines were produced and how many Gamines are left. 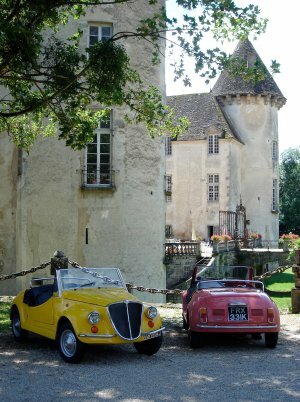 We are Gamine owners ourselves and are aware of the difficulties and joys that come with the ownership of this wonderful little car. One aim is for as many gamine owners as possible to register on the site and thus we can try to find out how many are left. Secondly, we want to be able to help any Gamine owners with problems and try to link them with owners who may be able to help, or supply them with those hard to find parts. One day we hope to be able to say how many Gamines are left on this planet, with your help. Fill out the details below and press "Submit" - we'd love to hear from you. Your Gamine has successfully been registered with us. Thanks!